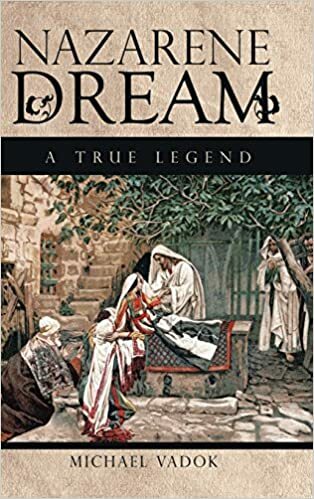 In Nazarene Dream, key events in the life of Joshua (Jesus) unfold and reveal the motivation behind his mission, how he meets his disciples, and how he gets in trouble with the authorities. Above all, they show how Joshua's followers come to mistake a thoroughly human Galilean rabbi for a divine, miracle-working messiah. Decades later, after Joshua fails to return in time to prevent the Romans' defeat of the Jews and the destruction of Jerusalem, a proto-Christian Jewish community in Syrian Antioch has a crisis of faith. Popular Antioch rabbi Ariel must confront his proto-Christian flock's doubts, disillusionment, and desertion of the faith. But Ariel still believes. His observations and experiences of the war's atrocities convince Ariel that the war is the fulfillment of signs revealed by Joshua himself. Ariel resolves to persuade his community that their messiah saw the war coming and will return as promised.